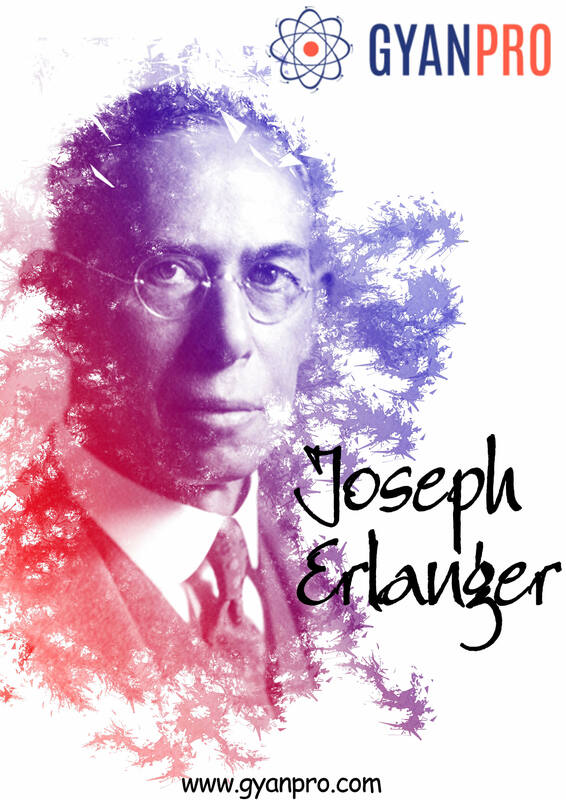 Home > Scientist Of The Past Who Shaped Our Present And Future > An Invention that Shocked the World – The Story of Joseph Erlanger. An Invention that Shocked the World – The Story of Joseph Erlanger. The 10% myth, that a person has access to only 10% of his brain and that he could indeed unlock and access unchartered territories of his mind is nothing but a pipe dream, but given the number of neurons and the amount of information that each of them stores, inclusive of the genetics and other factors is immensely huge. We are capable of storing the entire amount of information on the internet at present in our brain. Sounds Fascinating, doesn’t it? The study of the human brain and the nervous systems is known as neuroscience. And thanks to Joseph Erlanger and his student turned partner Herbert Gasser, they were able to provide a major boost for the studies conducted in this field. They modified a Western Electric Oscilloscope to low voltage cathode ray oscilloscope, which was induced into the patients for observations. They discovered the different forms of neurons, each with their own potential for excitability. Continuing on this research they also discovered that the velocity of action potential was directly proportional to the diameter of nerve fibre. For this study, they received the Nobel Prize in 1944 in the field of medicine or physiology. Born on January 5, 1874, at San Francisco, California. He is the son of Herman and Sarah Erlanger, sixth of the seven siblings. He graduated from University of California, Berkeley in 1895 with a Bachelor of Science in Chemistry, and completed his M.D. in 1899 from the John Hopkins School of Medicine in Baltimore, Maryland. He interned at the John Hopkins hospital working in a physiology laboratory under William Osler. One could say that Erlanger was versatile, given his varied interests and studies from electrophysiology to the physiology of the circulatory system, to developing and patenting a new type of Sphygmomanometer that could measure blood pressure from brachial artery to publishing a paper on the digestive systems of canine. This paper caught the attention of William H. Howells, who recruited Erlanger as an Assistant Professor. Erlanger was promoted to Associate Professor some time before 1906. From accepting a first chair position at the University of Wisconsin in Madison, in 1906, he left to take a position as professor at Washington University in St. Louis, where his position offered him more funding for his projects. During World War 1 Erlanger and Gasser contributed to the research examining the effects of shock, thus carving the path for shock therapy as a means to improve or instigate certain regions of the brain. As a part of his work Erlanger was also able to produce heart block in an animal model by clamping bundle of His and tightening it. They managed to amplify the action potential of a bullfrog sciatic nerve and published the result in American Journal of Physiology in 1922. The most interesting thing about Erlanger and Gasser’s studies is that it is still uncertain why he had a sudden shift in interest in the field of neuroscience, when he was well known in the cardiology field. The duo however ended their partnership in 1931, when Gasser accepted a position at Cornell University. He died of a heart disease on December 5, 1965 at St. Louis Missouri. The Joseph Erlanger House in St. Louis was designated a historic national landmark on December 8, 1976. On January 22,2009 the International Astronomical Union named a crater on the moon after him. Now you see me! Stepping into the light – the Story of DeWitt Bristol Brace. “Gillette: The best a man can get.” Bruce Schneier – The Security Guru.